Card API | What is a debit or credit card API? How does it work? 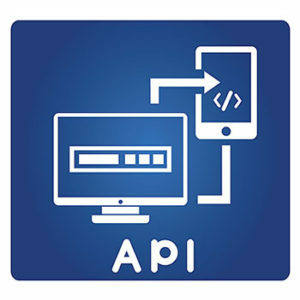 API is an acronym that stands for application programming interface. The application programming interfaces allows different programming components to interact with each other. 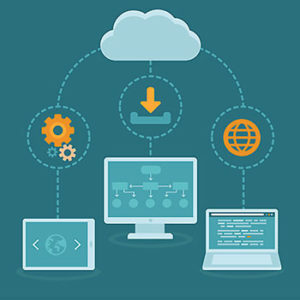 APIs are used across the internet and in programs and may receive and send information. A card API is an API that can be used to generate debit, credit, procurement, virtual, and ghost cards. Being able to create your own cards to give to your employees can provide a strong payment solution and help to prevent fraud. According to the Nilson Report, credit card fraud reached $22.8 billion in 2016 and is expected to reach $32.6 billion worldwide by 2021. Generating cards to give to your employees that have stringent controls can help your business to combat and to prevent fraud. What is a card API and how does it work? A card service API is an interface that allows businesses to quickly generate cards to give to their employees. Some companies that use card APIs require you to send in a token in order to use them, at which point you may send in other information like what type of card you want to create or to supply your billing address. You can also get a card service API from some companies that allows you to automate the creation of cards to give to your employees for business spending. You can choose the number and type of cards that you want to create. Who uses card service APIs? Why do they use them? Businesses of all sizes use card APIs so that they can create and manage different types of business cards to use for business spending. There are several types of cards that can be created with a card service API that might work for different expense purposes. Ghost cards might be generated to assign to individual departments to track spending company-wide. Procurement cards might be generated to give to a select group of employees to pay specific suppliers or vendors. Business debit cards might be generated and given to employees to use to make purchases at stores with the company’s money instead of their own. Finally, virtual cards might be created for secure payments and purchases that are made remotely. Connecting to a card service API can allow you to generate your own virtual cards, p-cards, and ghost cards. 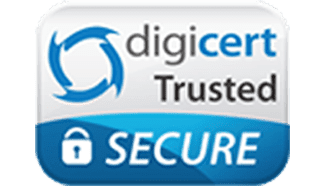 These are credit card numbers with CVV codes that can be used for single purchases, to procure goods or services for your company from specific suppliers, or to use either horizontally or vertically in the case of ghost cards. With a card service API, generating new card numbers can be done in a programmatic manner without you needing to re-enter your underlying information over and over again. Something that can be common when using web applications or phone and tablet applications. With a card service API, you will have the ability to categorize purchases, update billing information, and check the balances on the cards that you have generated. 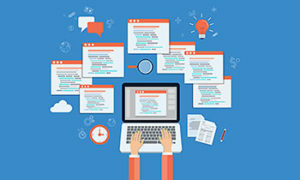 A good card API will have all of the features that a card issuer’s interface has with the added ability to complete these tasks in a more automated or custom fashion. Transaction data can be messy, and it can be difficult to categorize different expenses correctly. A card API makes this process much easier. For example, if you gave an employee to use for gasoline expenses and the transaction data said “Quick Trip,” it would be categorized by the card API as a fuel purchase. Expense management can be a time-consuming hassle for most businesses, but it is crucial. 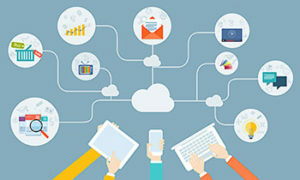 Instead of relying on manual data entry that takes away valuable time from your accounting staff, a good card API should integrate with your existing office accounting software. When a purchase is made with one of the cards that you have generated, the transaction data can import automatically into your accounting software and into the correct expense category. This can help to eliminate the need for manual data entry, prevent errors, and prevent fraud. What is credit card API processing? When payments are made with credit cards, there are a number of processes involved. A customer must first purchase a product with a credit card and then swipe or insert the card into a terminal. The credit card company is contacted for an approval. Once the purchase is authorized, the payment is sent to the merchant’s bank, which deposits it into the merchant’s account. The merchant will receive a statement at the month’s end with a list of all of the interchange fees. Credit card API processing gives you a specific payment solution that you can use on your website. Credit card API may be provided to developers by certain merchant services providers so that they can integrate it into their proprietary software and have a customizable solution to fit their needs. A credit card API allows companies to accept credit card payments without having a physical terminal. What is debit card API processing? Debit card API processing works in a similar manner to credit card API processing except for the information and request for approval is sent to the card issuer’s bank. The bank then responds with either an authorization or a denial of the transaction. If it is authorized, the bank sends the money to the merchant’s bank for deposit. The amount is debited from the customer’s checking account. The bank will send an invoice for the transaction costs for the month to the merchant. A debit card API is a solution that you can use to facilitate payments by debit card for e-commerce stores or other online companies. The debit card API allows you to accept debit card payments without having a physical terminal. Two types of cards that can be generated with a debit or credit API include ghost cards and procurement cards. Ghost cards are virtual card numbers that can be assigned to individual departments or for use with specific suppliers. When they are used horizontally, all of the employees of a department may use the number to make purchases that are trackable back to the department. When they are used vertically, you can assign a ghost card number to a specific supplier with which you conduct a high volume of transactions. By contrast, procurement cards can be generated and given to a specific group of employees. They can be used to make single purchases of a needed item or to make a series of purchases over a set time period. Virtual cards can be generated with your API. These are not plastic but are randomly generated 16-digit numbers with CVV codes that can be used one time to make secure purchases. The numbers cannot be used to link back to your company or to access your accounts. Procurement cards are often used more than once and may have a set expiration date. They can be virtual or plastic, allowing some employees to make in-person purchases in addition to remote transactions. Unlike virtual cards, business debit cards are plastic. These cards can be given to individual employees, and you can use a card service API to generate new cards whenever you hire a new employee or to turn a card off when an employee leaves. Business debit cards can be restricted to where, when, and how your money is spent. Virtual cards are numbers that are generally only good for single purchases. This makes them useful when you want to make purchases online or from a new vendor because the number will be useless after it has been used for the original purchase. Why use a card service API instead of a dashboard or user interface? There are several reasons why you might want to use a card service API instead of a dashboard or user interface. While the API may not have all of the bells and whistles of a dashboard, it has all of the same functionality. Using a card service API instead of a dashboard or user interface can let you generate cards, update billing, and track your expenses in an automated fashion. This can make the process much faster than if you instead have to repeatedly enter data on a dashboard. The Bento for Business card service API can be easily integrated into any of your custom business applications. This can allow the automatic categorization of transaction data from the cards that you give to your employees and departments as well as numbers that you might assign to individual suppliers. The API allows you to create the cards, view the transactions, and update billing information in a programmatic manner without using the dashboard. It is even possible for you to integrate the API into your own product so that you can offer that service to others. With the Bento API, you can implement stringent spending controls and substantial expense management. You can set individual spending limits by the day or week on the various cards that you create. For example, you can create a card for your accounts payable department that allows it to pay and process invoices from your vendors. You can give another card to your IT department so that the employees can purchase needed components for a planned upgrade to your computer equipment from your preferred vendor. If the IT employees try to buy items from a restaurant, the purchases will be declined. You will be able to see the transaction information in real time with by accessing the API. Bento for Business has developed a reputation as a smart solution for businesses. It has thousands of business customers of all sizes across the U.S. When you use the API to generate cards, you will not be charged interest on the purchases. The cards that you generate will not be credit cards and will instead be created with using Bento’s debit card API. The debit card API can allow you to create cards when they are needed and to turn off cards that you no longer need. 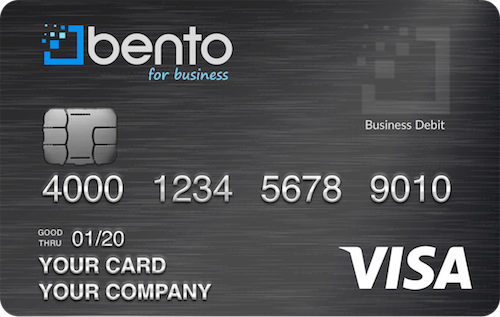 Bento is recognized by national publications such as Forbes as one of the best debit card solutions for business. To learn more, contact us today at 866.220.8455.